I live alone. I wait for a husband. I wait for a family. And I guess waiting wouldn’t be such a bad thing, if I didn’t also wait for the right time to make major changes in my life. I’m sure I’m not the only one who rationalizes away joy due to ridiculous self-imposed parameters. Well, I’m calling bullshizzle on all of that. And I can do that because A. bullshizzle is a great word and B. I now know better. About three weeks ago, I moved into a new home in a very quiet, peaceful neighborhood in Central Mississippi after living for 12 years in a neighborhood filled with tuba-players and booming car stereos. It’s a lovely new home, and I’m very happy. And I didn’t need a husband or my very own family to make it a lovely home. Do you want to know why? No, He didn’t provide a husband…or a little one waiting for me as I crossed the threshold. I would have welcomed those things greatly, but He decided, instead, to provide me with knowledge. The knowledge that, while I may live by myself, I’m absolutely not alone. From the moment eight months ago when my friend Mandi Burgess responded to my umpteenth complaint to her about my neighbors, I knew God was looking out for me. She immediately turned around to introduce me to a pretty brunette sitting two rows behind us. That brunette head belonged to Jessica Wood, who as it turns out, is a realtor. Well, to be precise, she is a phenomenal realtor, and she is now, also, a dear friend. But Jessica didn’t go it alone in getting my house sold and finding me a new home. Her lovely blonde counterpart and overall partner in crime is Melanie Brown. Both work for Kennedy Co. in Ridgeland, MS. But God didn’t stop by providing me with Mandi and Jessica and Melanie. God gave me Bob Rhoads. Bob is one of my very best and dearest friends. He went with me to almost every house I looked at…and there were a lot of them. But he patiently visited them and, as my polar opposite in so many ways, would be the calm, wise, and often wry presence when my fancy would take flight. God also provided me with Brad Benton, a friend I grew up with at church in Biloxi. Brad is now a stellar mortgage lender with BancorpSouth in Jackson. He made sure I had the best rates on interest and insurance and that I never had to worry about complicated paperwork getting filled out properly! Oh…and then there were James and Olivia Renfroe, two precious friends in my Sunday School class. Not only is James the only closing attorney anyone should ever use—he is efficient, fast, and insanely entertaining…seriously, I don’t think anyone ever expects to laugh at a closing, but he kept us all in stitches—he is also generous and kind…and is married to Olivia. Olivia is like a walking ray of sunshine. She is uplifting and giving; I know this because she literally dumpster dove to rescue some much-needed moving boxes for me. Another friend from church (are you seeing a trend here, yet?) who God provided me with is Kari Miller. Kari, who was also selling her home at the time, managed to make room in her busy schedule to bring a cooler filled with ice and drinks to my new house on my moving day and to visit with my weary mother while I was at the closing with Bob, Melanie, James, and Olivia. And speaking of my mother…and my father…and two of my three wonderful brothers…God has provided me with the most amazing family. 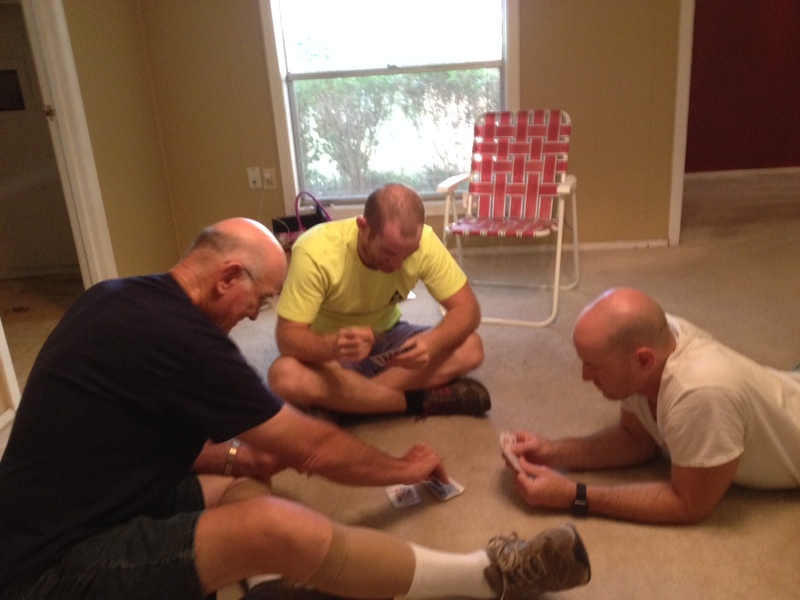 Not only did my pop ride up on his motorcycle to inspect my new home before I made an offer, he and mom drove up from Biloxi with my youngest brother Cooper, while my brother Ben Powers hopped on his motorcycle and rode down from Memphis, to help me move. They, along with Bob, loaded a houseful of boxes and furniture into a 24-foot moving van the day before the closing. Then my sweet family slept in an empty house so that we could vacate by 8 a.m. the morning of the closing and wait around for no less than nine hours before we had the keys to move everything out of the van and into the new house…again, with Bob’s help. That is love. That is God providing…abundantly providing. 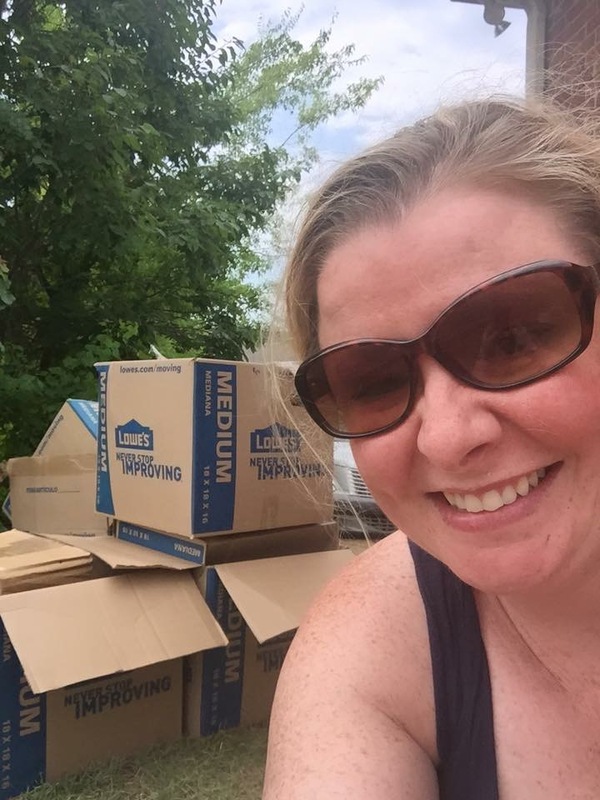 And beyond the folks who physically helped make my move happen were countless others who uplifted me in prayer or gave encouragement or offered to help with the move or gave me housewarming gifts or brought me empty copy paper boxes (thanks, Chantel Lott). Even a handful of my new neighbors made their way to my door to welcome me on move-in day! I mean, come on. That’s pretty awesome. I have been overwhelmed at the outpouring of love and support and help that so many gave so freely to make sure that I was taken care of. And here I was waiting for a husband and kids to keep me from feeling alone…when, all along, God had waiting in the wings for me an army of not-aloneness. Yeah, He really does provide. Fo’ shizzle. Oh, Shelley! You are so right! Having the family and friends that surround you that there is nothing you need to wait for. I’m so happy for you and know this journey in your new home will bring you many glorious days. I might just have to swing by Biloxi, pick up Sue and head your way for a grand tour. Ms. Karen, I would absolutely LOVE that!! How Excellent is Thy Name Oh Lord and Your Provisions in All, are sufficient!! Okay Sunnyhuckle editor and writer, this was “Fo’Shizzle” a happy, happy story and thanks copy editor, Bob Rhoads for EVERYTHING! 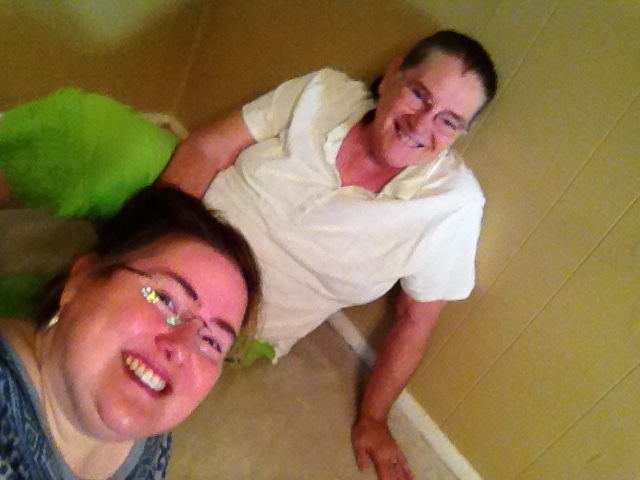 You are so Blessed Shelley…and loved! You are one of my blessings, Heidi Lyn!